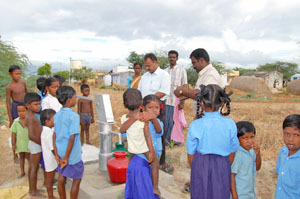 This brand new well was completed in July 2008 and serves over 800 people in Oppanaiyapuram, Sankarankoil Taluk , Tirunelveli District Of Tamilnadu State of India. 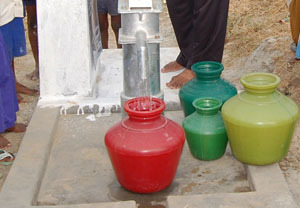 It was sponsored through The Water Project, Inc. by a family in memorial to their Aunt and Uncle. 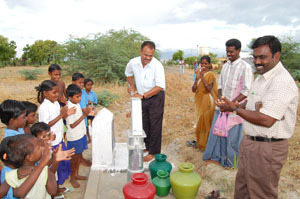 Upon completion of the well, one community member noted that, "it is a heavenly blessing for them from God for the people in the village. 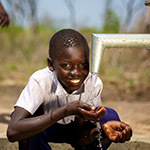 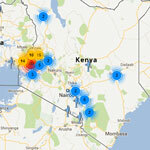 This bore well has water in abundance..."